Customers come into restaurants for many reasons - celebration, a break from work, family time, or possibly because no-one felt like cooking. But it’s not enough to simply seat the customer, take the order, deliver the food and bring the check. Rather, it’s up to the establishment to exceed expectations and create exceptional customer experiences. Even though guests are seeking food and drink, they’re really looking for more and it’s up to the restaurant to deliver it. That “more” is entertainment! Compare your restaurant to a play or movie. The audience has certain expectations of the experience both before they come in and when they are seated. They want to escape their daily routine, be comfortable, enjoy good food and drink, and be entertained. Much like any theatrical performance, a restaurant should use props to bring the show to life. The décor, music, menus, table covers, wine cabinets or cellars, even the food itself can be used to enhance the experience and entertain. Every day in any restaurant around the globe, new customers come in the door for a variety of reasons. They may have gotten a recommendation, looked up the online reviews, or seen an advert, etc. 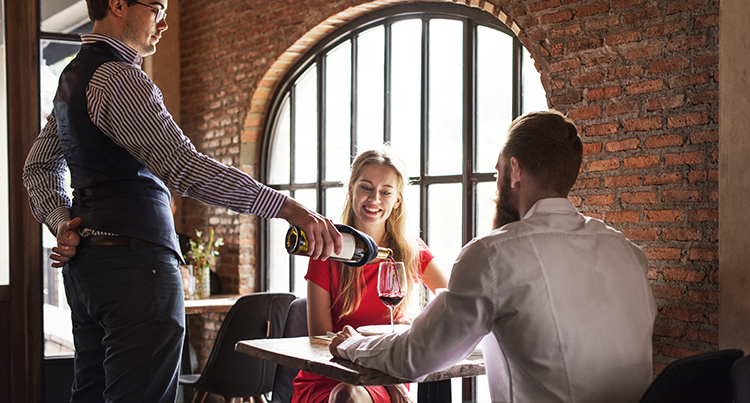 In many cases, these first-time visitors have no knowledge of what makes your restaurant special, what they will enjoy or how the personal service experience will be. Whether these new customers are just passing through or live in the neighborhood, it’s up to each member of your service team (think of them as performers) to take each guest on a “magical journey” of everything special that sets your restaurant apart from the competition. With any performance, word of mouth marketing plays an important role in the success or failure of the production and the restaurant’s bottom line. If the audience is dazzled, they will tell everyone they know that “you must see this show”. If the service or quality is poor, the production will fall flat and the audience will not return. Just as there are movie and show critics, food critics are ready with powerful pens to influence future audiences. Both good and bad, word travels fast especially in this age of social media and all-important online reviews. If the restaurant business is show business, then the staff need to be effectively trained to educate, inform and entertain each and every guest. This approach is not only about servers and should not exclude the host and bus staff, because it’s not enough to simply greet and seat guests, clear plates and fill water glasses. To exceed every guest’s expectations, the entire front of house team should be trained to serve and sell. Just as each performer must learn their lines, each must also understand and anticipate their unique role, the timing of delivery and how, together as castmates, the show is presented to dazzle the audience. 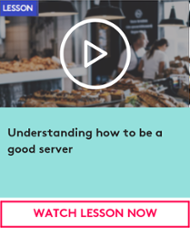 Whether the director is the restaurant owner or manager, their primary objective is to ensure that this thorough preparation results in consistently strong performances from each cast or service member. This takes experience, communication, practice, and team-work. The service team must know their menus inside and out and be well versed in all aspects of product and restaurant knowledge. Bringing the food and drink to life before the guest is served is theatre; requiring knowledge of preparations, flavor profiles, complementary pairings and what the customer will enjoy and appreciate. Then and only then is it time to roleplay, rehearse the guest experience to come and select a theme for the day or night’s performance. Before the doors open and the audience is seated, the director should lead the service team in a daily pre-shift exercise. This should require no more than ten minutes but will prepare each performer and set the stage for the guest experience to come. What specials will be recommended, which bottles of wine pair with those specials, how will we educate, inform and entertain each guest so that they feel an affinity with the restaurant and want to return? A strong director leads, motivates, encourages and inspires the cast. With this powerful lead, service professionals will thrive on new challenges and constantly raise their personal bar. 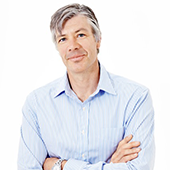 When the team is happy and fulfilled, staff turn-over goes down and a “dream-team is built”. This has a dramatic effect on the gratuities earned and dollars spent by a repeat audience. When the restaurant’s doors open for business, the curtain goes up, each team member is an actor on stage and suddenly it’s “Showtime”! If each performance is critically great, the audience will reward with repeat visits and five-star reviews. In the business of entertainment, there is no greater competitive advantage. Get ready for 2019 with Typsy! Our courses and lessons cover key hospitality topics including beverage, culinary, management and service. 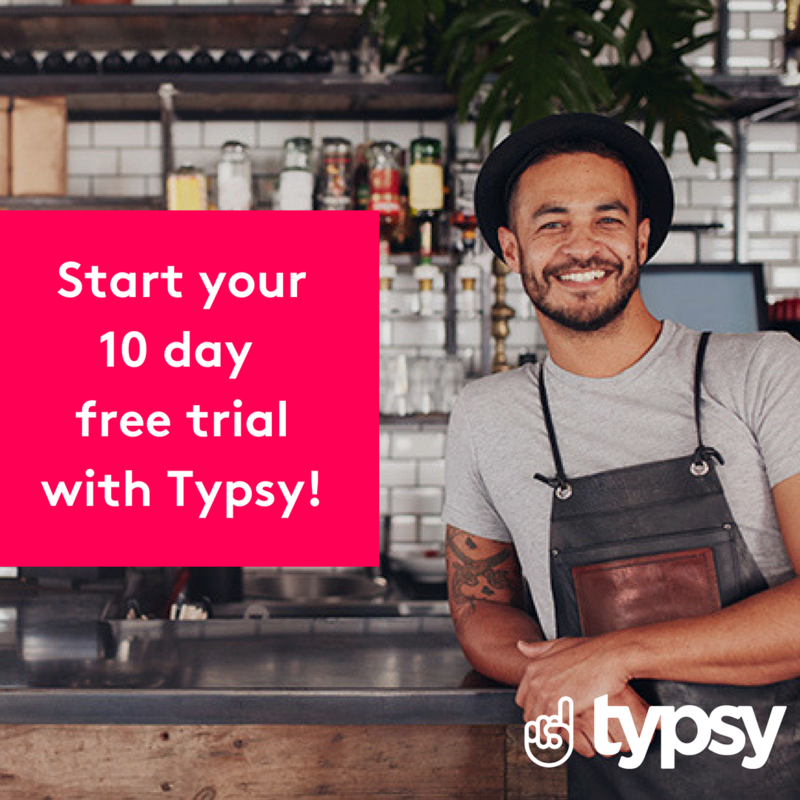 Start your 10 day FREE TRIAL today!